Imagine your own Tall ship adventure and let us help you make it happen. 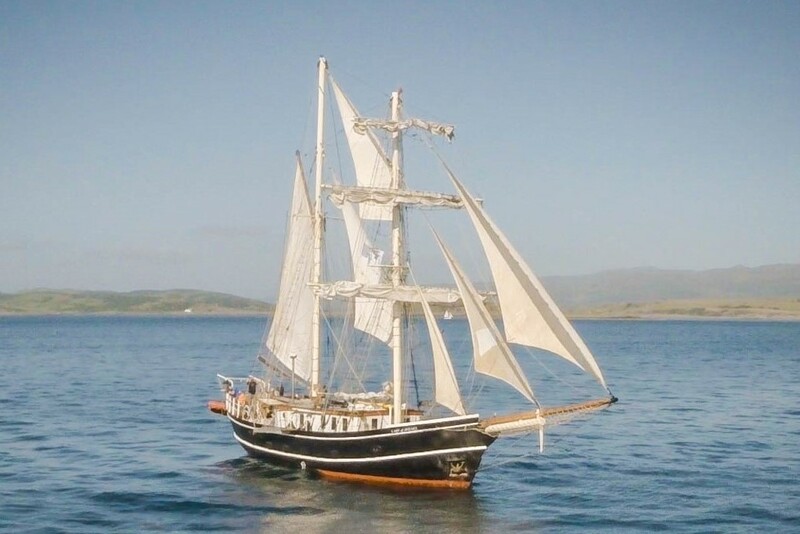 Lady of Avenel is available for charter by Companies, Groups or Individuals at competitive rates. We normally charter for a week Sunday to Saturday and can take up to 12 passengers in comfortable twin berth cabins. We have a well equipped galley and spacious saloon where you can eat, relax and organise. The ship has showers, flush toilets and heating. We provide a skipper and mate. You can choose to self-cater or we can organise an experienced cook. See accommodation to discover more. 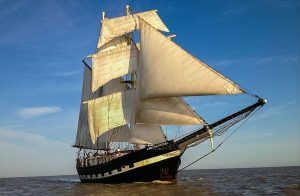 You might want an adventure where you learn to sail a Tall ship and visit local ports and anchorages. You might focus the voyage around some particular activity or celebration. You can get a taste of what we run from our itinerary and adventures on this website. Think walking in remote areas, amazing wildlife, geology spanning 3 billion years, painting and photography, fishing and cooking. Our rates include professional crew: Skipper and Mate, bed, linen, fuel, gas, life jackets, harnesses.